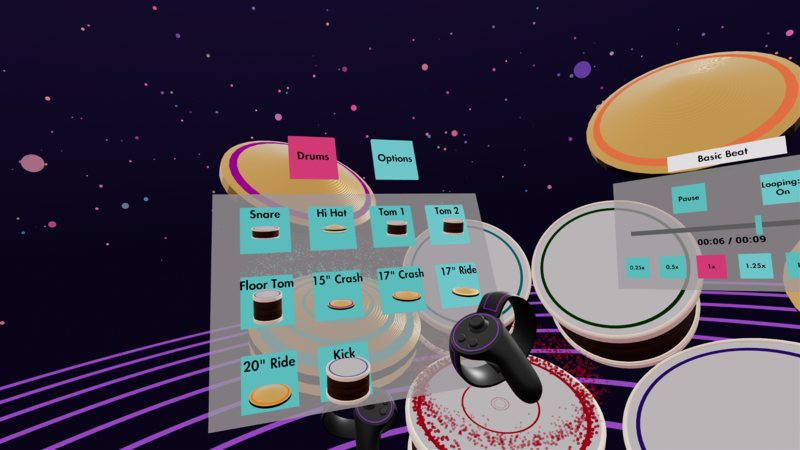 Paradiddle reimagines drumming for virtual reality, and lets you play the drums without the limitations of the real world. Enjoy playing on drums that leverage a realistic sound system, with some drums supporting over 100 sound variations just based on how hard they were hit. Drag and drop as many drums as you want from your drum palette, and arrange and scale them with ease to create your ideal drum set. 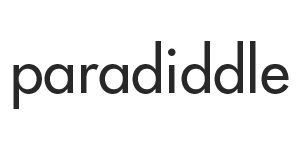 Record your songs and share your recordings with others in the Paradiddle community. Play back other people’s recordings and slow them down, to get a better idea of how the piece was performed. Paradiddle uses visual cues to show when each drum is about to get hit, while the recording is being played right in front of you. 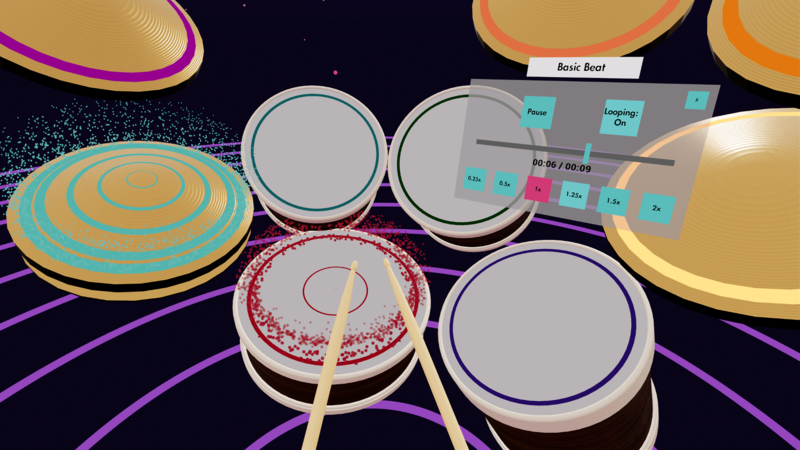 It opens up many possibilities for learning how to drum that simply wouldn’t have been possible without VR. In early 2016, I was about to change jobs and move to a new city. My old workplace had a drum set that I could practice with whenever I wanted to, but I knew that my new office wasn’t going to have one. 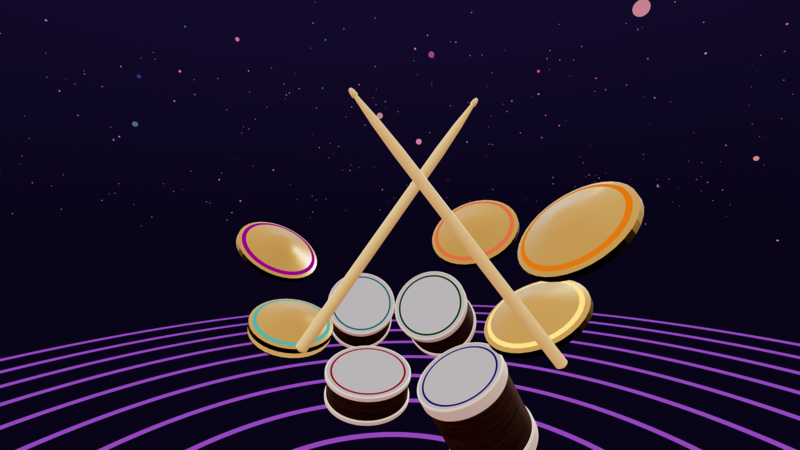 This is when I started creating a simple VR drumming tool for myself, to see whether there could be an overlap in skills between drumming in VR and real life. I tried covering some songs that I knew how to play on real drums, to test for myself whether it was possible to get a responsive and realistic enough system working. The tests were successful as I was able to cover certain songs that I already knew how to play, and even teach myself how to play new songs purely by practicing in VR! 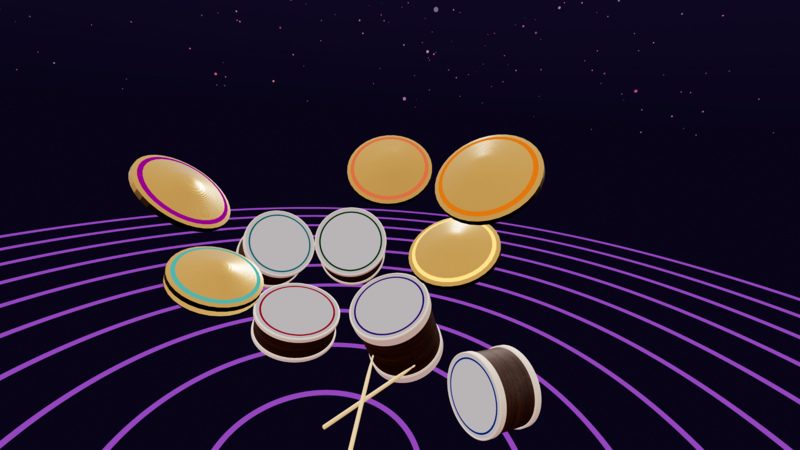 After sharing the drum covers and seeing the interest from the VR community, I decided to keep working on this simple tool to turn it into what is Paradiddle today. Play different types of percussion instruments without worrying about making noise, having a dedicated space for them, or buying them. The current list of playable drums are: hi-hat, bass drum, snare, 3 types of toms, 2 types of crash cymbals and 2 types of ride cymbals. This list will be expanded in the future to include other instruments such as the cowbell, xylophone, etc. Realistic and responsive sound system. Each drum plays different audio samples based on a variety of factors, such as how hard or what part of the drum was hit. Almost every drum in the app has 100+ audio sample variations based on these parameters, which leads to the natural sound you get when you play. Even though you don’t get the exact sensation of hitting a physical surface, Paradiddle uses visual cues that change based on these parameters (such as particle effects that grow in intensity based on your hit strength) as well as haptic feedback, to make up for the lack of that feeling. The app leverages the extremely capable FMOD sound engine to keep everything sounding responsive. Create and customize your own drum kit. Drag and drop as many drums as you want from your palette into your environment. Grab any drum with the press of a button and place it wherever you want, as opposed to the real world alternative of having to loosen and tighten stands and mounts whenever you want to readjust a drum. It’s even possible to scale your drums! You can go all out by creating a drum fort made up of 20 tiny drums that surround you, or play on one gigantic bass drum. Save your drum kit and load it back whenever you’re back. Record and share the songs you’ve played with others in the Paradiddle community. In a song playback, Paradiddle uses visual cues to show when each drum is about to get hit, to help you learn how to play the song. Speed up, slow down and play along to a recording in a uniquely immersive learning environment—or just sit back and the watch the show. MIDI input/output support. MIDI devices (such as electronic drum pedals) can be integrated into Paradiddle to trigger any drums within the environment.  Likewise, Paradiddle can also send MIDI output, which means you can use the app to trigger your own samples in your favorite digital audio workstation. This transforms Paradiddle into an extremely powerful audio creation tool. Peripheral integration. In addition to MIDI devices, any peripheral that can emulate keyboard input (such as USB pedals) can be used in Paradiddle as a way to trigger the kick drum or control the hi-hat. Customizable controls. Remap your VR controller buttons to different actions such as opening/closing the hi-hat or triggering the kick. ASIO Support. Audio enthusiasts that want maximum customization of their audio settings can switch their output device to ASIO. By default, the app uses WASAPI, and a lot of time was spent to ensure that the latency was kept to a minimum with the default settings. Customizable drum sound options. You can customize settings of individual drums, such as their pitch and max volume. These settings will expand in the future to give users greater control over the sound that comes out of their drums. Ability to load and play back audio files from your system as you play on your drums. Camera tools. The 3rd person camera tool allows users to easily position a virtual camera within the app to record from an external perspective. Users can also apply various smoothing and FOV altering settings to the first person and third person cameras, in order to record better looking footage from the app. Mixed reality recording. Through its LIV integration, Paradiddle allows any user to record videos that look like the Whiplash drum cover. Steam Workshop support. Leveraging the Steam Workshop will everyone upload their recordings and drum sets with ease, as well as give them access to a centralized library of what the community has created. Driving pedal, rock band pedal integration. And more! Paradiddle is in Early Access, and a lot of the upcoming features are driven by community interest. I’m always on the lookout for new features that users would like to see. A growing YouTube playlist of drum covers played using Paradiddle. The Pretender cover by Paradiddle user ElNeax. What is most impressive about this cover is that ElNeax has actually never played real drums in his life! He has more than 60 hours of Paradiddle play time under his belt, and it’s simply incredible how good he has gotten at playing within the app. Dani California drum cover by Paradiddle user VRDrumAge. What’s worth pointing out with this cover is that VRDrumAge is using Virtual Desktop to bring in Phase Shift in order to load up the song, which lets them see when the hits are coming. MIDI is sent out from Paradiddle to Phase Shift to trigger the actual hits. VRDrumAge is also using rb2midi to use their rock band kick pedal for the bass within Paradiddle.